For everything you need to know on court reporting, legal video, and videoconferencing. Thomas & Thomas Court Reporters is excited to be providing A/V support for a three-day trial at the Douglas County Courthouse this week. Thomas & Thomas brought in four monitors, a large screen TV, ELMO document camera, and a matrix switch so the parties can present their cases in an efficient, digital manner. Said A/V equipment can be used to show exhibits, videos, and PowerPoints to the jury, counsels’ tables, and the judge. Don’t feel comfortable running the equipment? Need additional tools like trial presentation software (i.e. TrialDirector, Sanction, etc.)? Thomas & Thomas has you covered. Our trained trial technicians can assist you at your next trial, ensuring everything runs smoothly and the jury’s attention is kept. Contact us today to learn more about our court reporting, legal videography, and trial services. 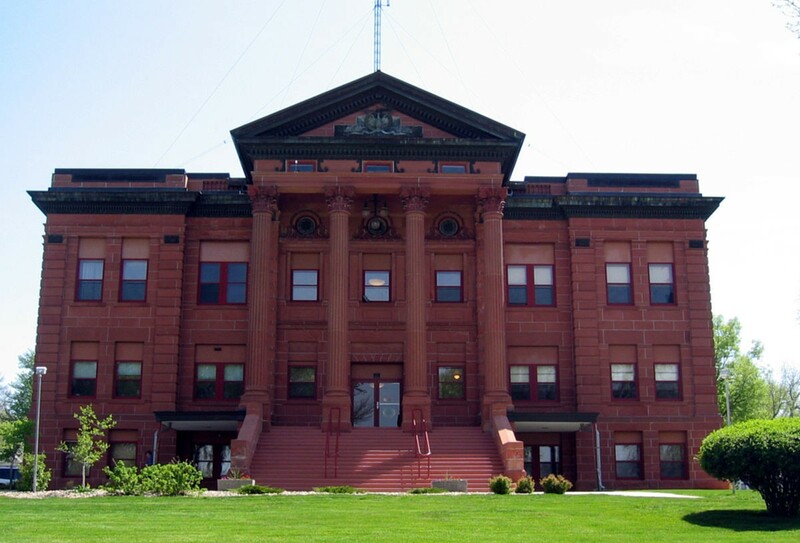 Last month, Thomas & Thomas Court Reporters were asked to provide trial presentation services for two-week trial at the Plymouth County Courthouse in LeMars, Iowa. Specifically, defense counsel needed assistance working with MRI images and a radiologist to counter plaintiff’s contention of what the images showed. For those who have worked with medical imaging software, you know this process can be difficult and unpredictable. That is where Thomas & Thomas Court Reporters came in. We worked with the doctor to select the best images and how we might present them in the best way. Ultimately, we decided between a joint effort of trial technician, doctor, and ELMO document camera operated by the attorney. With all of the A/V equipment being run through our trial technician, switching between sources was seamless and the elicited testimony proved dispositive in the jury returning a defense verdict. Whether it is court reporting, videotaped depositions, or trial presentation services, consider using Thomas & Thomas Court Reporters the next time you need litigation support services. With over 40 years of experience, we know how to get the job done right. Over the past ten months, Thomas & Thomas Court Reporters has been providing various court reporting, legal video, and trial presentation services for an arbitration here in Omaha, Nebraska. Our court reporter, Brianne Starkey, RPR, CRR, CSR (Iowa), has been providing a realtime transcript feed via LiveDeposition to over ten attorneys. Our legal videographer has also been using LiveDeposition to stream the video from the hearing to participants in various states. Our Trial Presentation Services Specialist, Geoffrey S. Thomas, J.D., has been presenting exhibits and demonstratives via trial presentation software and creating various clips from videotaped depositions. Mr. Thomas has also utilized the video from our legal videographer to form clips of what was said throughout each hearing to be used in closing arguments. On May 7, Thomas & Thomas Court Reporters was, once again, the preferred court reporting company for the 2016 Berkshire Hathaway Annual Shareholders Meeting. Like in years past, Thomas & Thomas Court Reporters transcribed the Annual Meeting live throughout the day, but this year we added a realtime feed for Mr. Buffett and Vice Chairman Charlie Munger during the question-and-answer portion of the meeting, providing a direct written record of investor and analyst participant questions. Last year’s Annual Meeting drew a crowd of 40,000 attendees. Although no official attendance number has been offered for this year’s meeting, those that have attended the meeting in the past suggested the auditorium was no less full than in years past. This was also the first year the meeting was streamed live online. 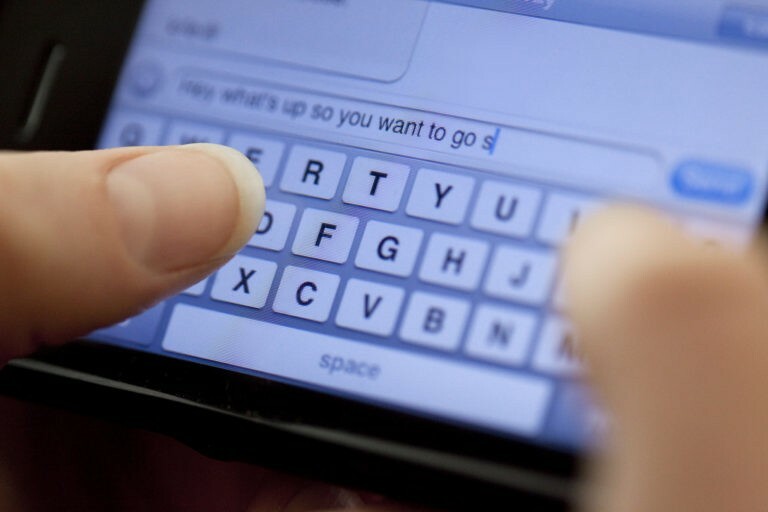 In the past, cell-phone videos and audio recordings were prohibited, so those curious about the proceedings had to rely on media accounts and amateur transcriptions. Thomas & Thomas Court Reporters is preparing to provide trial presentation services for a one-week jury trial at the Johnson County Iowa Courthouse. In addition to providing trial presentation services, Thomas & Thomas Court Reporters will also be outfitting the courtroom with monitors, a large screen television, and a document camera. Below is Thomas & Thomas testing the equipment prior to departing to Iowa for trial. In this particular case, Thomas & Thomas Court Reporters will be providing four monitors (one for each counsel's table and one for each the judge and witness stand), a 50" television for the jury, and a document camera. We have also installed a blackout switch for the 50" television, which allows us to control what the jury is seeing. 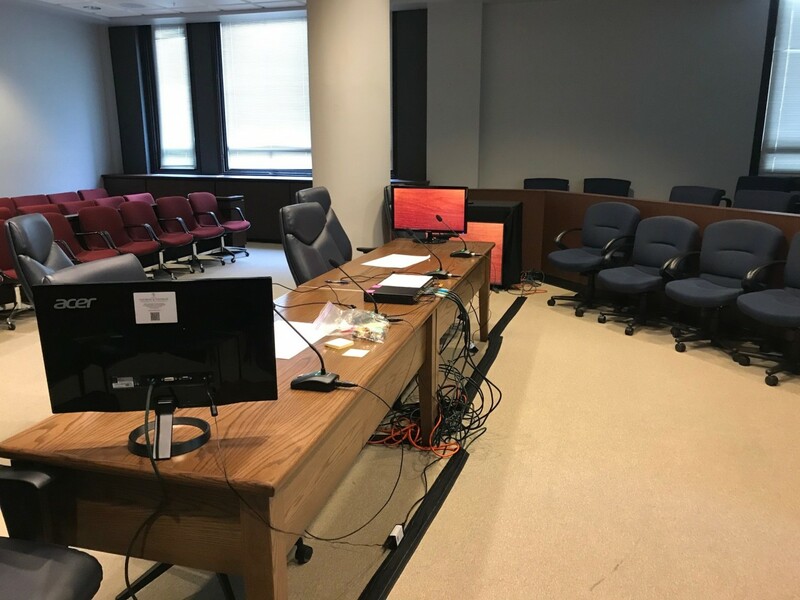 With this setup, the attorneys will be able to show exhibits and videotaped depositions electronically, while still incorporating traditional ways of presenting evidence. Be sure to contact Thomas & Thomas Court Reporters for all your trial presentation services and litigation support needs. On October 21, 2015, the Nebraska Supreme Court adopted several amendments to the Neb. Ct. R. Disc. §§ 6-327, 6-330, 6-331, and 6-332, which became effective January 1, 2016. Several of those amendments specifically affected the court reporter's role in a deposition, including where the court reporter is supposed to be located during telephonic or other remote depositions and the requirement that the court reporter provide an on-the-record statement before the beginning of each deposition. Below are a couple of those amendments and the practical implications those amendments have on depositions. For a complete list of the rule amendments, please click the above-referenced link. As a leader in the use of technology during depositions, hearings and trials, Thomas & Thomas sees this amendment becoming more and more relevant as more attorneys use other remote means for conducting depositions. For example, our office has seen an increase in the use of videoconferencing and mobile videoconferencing for deposing people across the state and country. Not only does videoconferencing and mobile videoconferencing save money, time and effort for attorneys and their clients, but it also allows the court reporter to remain here in Nebraska, thus reducing the cost of the transcript even more. Plus, with the advent of document cameras and other technologies, conducting a deposition remotely has never been easier. However, it is important to remember that the presumption is the court reporter must be in the same location as the deponent unless a court order or stipulation of the parties states otherwise. (A) Before the Deposition. Unless the parties stipulate otherwise, a deposition must be conducted before an officer identified by Rule 28 as a person before whom a deposition may be taken. The officer must begin the deposition with an on-the-record statement that includes: (i) the officer's name and business address; (ii) the date, time, and place of the deposition; (iii) the deponent's name; (iv) the officer's administration of the oath or affirmation to the deponent; and (v) the identity of all persons present. (B) Conducting the Deposition; Avoiding Distortion. If the deposition is recorded nonstenographically, the officer must repeat the items in Rule 30(b)(8)(A)(i)-(iii) at the beginning of each unit of the recording medium. The deponent’s and attorneys’ appearance or demeanor must not be distorted through recording techniques. (C) After the Deposition. At the end of a deposition, the officer must state on the record that the deposition is complete and must set out any stipulations made by the attorneys about custody of the transcript or recording and of the exhibits, or about any other pertinent matters." This amendment adds a requirement that the court reporter provide an on-the-record statement before and after a deposition is conducted. Just like Neb. Ct. R. Disc. § 6-330(b)(7), the parties can stipulate away this requirement, if desired. Without said stipulation, these on-the-record statements will become part of the record. "(e) Review; Waiver; Motion to Suppress. (1) On request by the deponent or a party before the deposition is completed, the deponent must be allowed thirty days after being notified by the officer that the transcript or recording is available in which (a) to review the transcript or recording and (b) if there are changes in form or substance, to sign a statement listing the changes and the reasons for making them. The deponent may be allowed more or fewer than thirty days if the parties stipulate to or the court orders a different number of days. The officer must note in the certificate required by Rule 30(f)(1) whether a review was requested and, if so, must attach any changes the deponent makes during the period specified above for review. (2) All objections to the accuracy of the deposition, including objections to accuracy of the interpreter’s interpretation of the questions or answers, are waived if a request for review is not made before the deposition is completed or, if a request for review is made, no changes are submitted to the officer in the time and manner required by subdivision (1) of this rule and no motion is made pursuant to subdivision (3) of this rule. (3) If a request for review is made, the deponent or any party may move to suppress the deposition pursuant to Rule 32(d)(4) on the ground that the deponent was not allowed to review the transcript or recording as provided in subdivision (1) or that the transcription or interpretation of the deposition is inherently inaccurate." The Comments to Rule 30(e) go on to note that this modification now requires the deponent or party to invoke the right to review before the end of the deposition and gives the deponent or party thirty (30) days to review after being notified that the transcript or recording is available. This is contrary to the former rule, where the deponent had a right to review unless the right was waived by the deponent and the parties. This modification is important because now the presumption is that the reading and signing of the transcript is waived unless expressly stated otherwise. Thus, if the right to review is not invoked, then the transcript of the deposition is deemed to be accurate. Although these amendments may not affect the way an attorney prepares for or conducts a deposition, they are important procedural modifications that should be considered when scheduling and conducting a deposition. Congratulations are once again in order for the Law Firm of Kramer Levin after a $40 million verdict was announced on August 4, 2015 in the Finjan, Inc. v. Blue Coat Systems, Inc. matter. 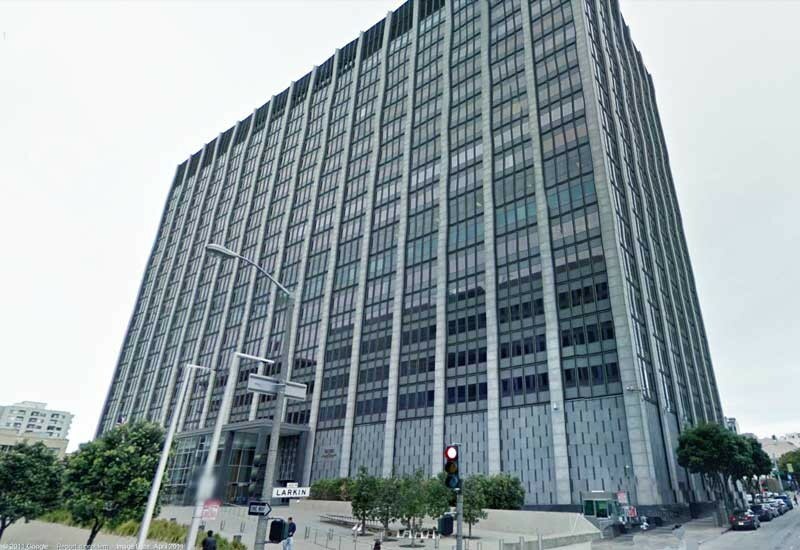 The verdict followed a three-week trial before the Honorable Beth Labson Freeman of the U.S. District Court for the Northern District of California. The jury found that five of Finjan Holdings, Inc.'s six patents were literally infringed by Blue Coat with the sixth being infringed by the Doctrine of Equivalents. The jury ultimately decided Finjan was entitled to $39,528,487.00 in damages as a reasonable royalty for Blue Coat's infringement. I worked closely with Kramer Levin's legal team of Paul Andre, Lisa Kobialka, James Hannah, and others, to provide a seamless display of exhibits, demonstratives, and videotaped depositions. With each side limited to only 18 hours to present their cases, a quick, efficient presentation of the case was paramount. Accordingly, I had to bring in extra trial presentation items to ensure an optimal setup. I also assisted with the creation and modification of PowerPoint presentations throughout trial. I was asked to combine trial exhibits and tutorial animations for direct and cross examinations of expert and fact witnesses. Congratulations to Kramer Levin and its client, Finjan! Often times attorneys need to depose witnesses in various locations across the country. Sometimes that can require additional attorneys and/or support staff members to have to travel to those various locations, which can cause the client to incur additional costs compared to a traditional, local deposition. With the advent of realtime text and video streaming, attorneys and support staff individuals can now attend any deposition remotely. By using various platforms, such as LiveDeposition, individuals are able to view the transcript in realtime, see and hear the deponent as he or she testifies, and communicate with their team via a private chat. Realtime text and video streaming also gives clients the ability to attend depositions remotely in the event they want to watch the deposition, but are unwilling or unable to travel. In addition to realtime text and video streaming, the basic function of realtime allows attorneys read the questions and answers as they happen, search the transcript for a specific word or phrase, and highlight important text for future reference. The above picture is a deposition Thomas & Thomas Court Reporters recently provided realtime text and video streaming for. This stream was provided to various law firms, clients, and experts across the country. As a result, numerous individuals did not have to travel to attend the deposition, reducing time, money, and effort spent by all parties. Be sure to think of Thomas & Thomas Court Reporters the next time you need realtime text and video streaming. Post Co., sat at a table against a wrinkled gray backdrop, a Coke bottle in easy reach and looked into the lens. Brendsel and other participants in the proceeding watched Buffett on big-screen televisions in a richly paneled Washington courtroom." On October 30, 2007, Warren E. Buffett testified about how he saw early signs of Freedie Mac's woes. However, he did not do so live. He did so from the offices of Thomas & Thomas Court Reporters and Certified Legal Video, LLC. In an attempt to accommodate Mr. Buffett's busy schedule, his staff asked that Thomas & Thomas Court Reporters provide a videoconference feed between our office in Omaha, Nebraska and the Washington courtroom. Below is an article by the Washington Post about Mr. Buffett's testimony and the underlying videoconference that Thomas & Thomas Court Reporters provided. 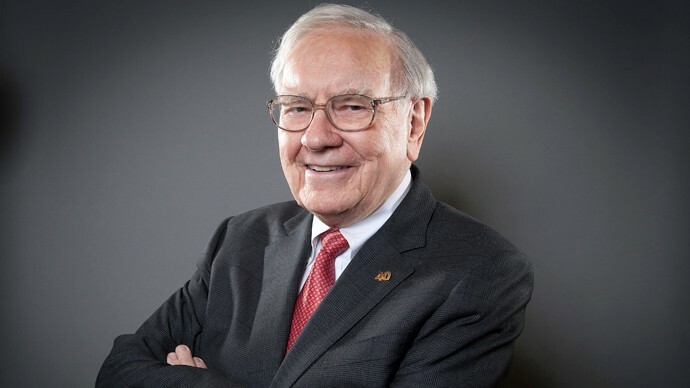 Billionaire investor Warren E. Buffett sat in front of a video camera in Omaha, spelled his name for the record and minced no words as he testified for the government yesterday in its case against former Freddie Mac chief executive Leland C. Brendsel. Brendsel is accused of presiding over accounting manipulations and running Freddie Mac in a reckless manner. Buffett, one of the most successful and revered investors, sold a huge stake in the mortgage funding company before the manipulations came to light, and the government wanted him to explain why. The government is trying to show that Brendsel's promises of double-digit earnings growth set Freddie Mac on a dangerous path, and Buffett said they were another key reason he sold. Sometimes, when executives offer earnings projections and cannot make the numbers, "they start making up the numbers," he said. Trying to deliver smoothly increasing earnings "can lead to a lot of trouble in any company," and it is "unachievable" at a company like Freddie Mac, whose business is inherently unpredictable, Buffett testified. He agreed that his antipathy for the practice was a minority view among professional investors. Asked to read aloud from Freddie Mac annual reports, he showed that the McLean company had been predicting "mid-teens" earnings growth years before he began liquidating his stake. Post Co., sat at a table against a wrinkled gray backdrop, a Coke bottle in easy reach and looked into the lens. Brendsel and other participants in the proceeding watched Buffett on big-screen televisions in a richly paneled Washington courtroom. Because the case involves regulatory rather than criminal charges, Brendsel is not at risk of going to prison. He is trying to avoid liabilities and penalties that could exceed $1 billion. his wealth to the philanthropic foundation run by Microsoft Chairman Bill Gates, who topped the list with $59 billion, and Oates's wife Melinda, also a member of the Post Co. board. Buffett said he met with Brendsel and former Freddie Mac president David W. Glenn five or six times over the years at Brendsel's request, initially at a summer house Buffett had in Laguna Beach, Calif.
Brendsel requested and followed some of his recommendation whom Freddie Mac should appoint to its board, Buffett said. about what they might be doing ... that I didn't know about." Achieving "mid-teens" earnings growth "seemed to become more and more a mantra of the organization," giving him greater cause for concern, Buffett said. didn't keep notes or a diary and couldn't recall details. "He may have seen the writing on the wall," Buffett said. cautionary words were merely legal boilerplate. "I would not be particularly impressed by them," he said. Congratulations to the Law Firms of Kramer Levin, New York, New York, and local counsel, Koley Jessen, Omaha, Nebraska, and their amazing trial teams for their most recent jury verdict in the civil lawsuit of Prism Technologies v. Sprint Spectrum L.P. The matter was tried to the Court and Jury, the Honorable Lyle E. Strom, Senior United States District Judge for the Federal District Court of Nebraska, presiding. This case was the second of five patent infringement trials against the five major U.S. wireless carriers - AT&T, Sprint, T-Mobile, U.S. Cellular, and Verizon. Congratulations also to Geoffrey S. Thomas, J.D., and certified Trial Presentation Specialist, for his role in the successful delivery of courtroom visual technology. The result was a seamless presentation of demonstratives and exhibits presented at trial. Clean, on-point videotaped deposition clips highlighted and pinpointed important trial testimony. Dual laptops used simultaneously during opening, closing, and witness examinations, ensured a quality and flawless presentation at all times. In the end, the synergistic mix of attorneys, witnesses, support staff and specialized and professionally administered courtroom technology garnered a $30 million jury verdict for the plaintiff. Congratulations! On May 2, 2015, Thomas & Thomas Court Reporters reported the 2015 Berkshire Hathaway Annual Shareholders Meeting held at the CenturyLink Center, Omaha, Nebraska. Thomas & Thomas has provided same-day transcript court reporting services for the Annual Meeting since 2011. Roughly 40,000 people from all around the world showed up to witness the 50th anniversary of Warren Buffett taking control of Berkshire Hathaway Inc.
Congratulations to Kristen Teel, RPR, CRR, and Brianne Starkey, RPR, CRR, court reporters extraordinaire, on a job well done! And congratulations to Mr. Buffett for once again making Omaha proud. In addition to the above-referenced presentations, the Nebraska Court Reporters Association sponsored a reception to recognize Brenda L. Fauber, RDR, CRR, CPE, of Omaha, Nebraska, for receiving the 2014 Distinguished Service Award. The Distinguished Service Award is given out by the National Court Reporters Association ("NCRA") and is designed to encourage and recognize work amounting to distinguished service by individual members of NCRA for the benefit of the reporting profession. That may include work as a member, committee member, director or officer of the Association, for the JCR, in state or local association affairs, or in the field of public affairs or public relations. Ms. Fauber was also recognized for her accomplishments at NCRA's Annual Convention last fall. Ms. Fauber can be seen below with NECRA President Beverly Heurter. From everyone at Thomas & Thomas Court Reporters, thank you to Brenda Fauber for her distinguished service to the court reporting profession. From discovery through trial, Thomas & Thomas has you covered. Thomas & Thomas Court Reporters is a full-service litigation support firm providing strategic consulting to litigators nationwide, from discovery through trial. We pride ourselves on our mastery of technology in the courtroom. Not only can we help you in the initial discovery process, but we can also support you during the intensive preparation leading up to trial. With almost 40 years of experience in the industry, we are confident you will be delighted with the quality of our trial consulting services and competitive pricing. Our trial consultants are seasoned professionals providing consistent, high-quality trial preparation and presentation services for our clients. So whatever trial support services your firm may need, why not contact us today for more information. We can discuss your requirements in detail and provide you with references, if needed, and competitive, affordable pricing. Thomas & Thomas Court Reporters is leading the way in trial presentation services and we welcome the opportunity to assist you with any litigation or court reporting issues you may have. Please call our office to schedule a personal meeting. Let us show you the benefits of the multitude of services we have to offer. We look forward to making your life easier. Earlier this month, one of Thomas & Thomas Court Reporters' Trial Consultants provided trial presentation services for a trademark case in the United District Court - District of Delaware. Although the matter did not go to trial, Thomas & Thomas' trial consultant, Geoffrey S. Thomas, J.D., provided invaluable trial preparation assistance to the law firm and attorneys involved. Mr. Thomas was tasked with creating and presenting deposition clips, organizing exhibits, demonstratives, and PowerPoint presentations, and simulating in-court presentations to prepare the witnesses for trial. This particular case was made even more difficult due to the time limitations each side had to present their case. This meant Mr. Thomas had to have everything fine-tuned and ready to present on TrialDirector, as seconds and minutes were of the essence. Thomas & Thomas is Nebraska and Iowa's leader in trial presentation services. Whether you are in Omaha, Lincoln, Council Bluffs, Des Moines or beyond, as with our court reporting services, we can now also support your growing trial practice with our Trial Services Department. From mediations to the courtroom, Thomas & Thomas can give you the technical support and courtroom expertise you need to win your next case. We provide our clients with everything they need to create a visually persuasive presentation for any environment, including professional audio/visual equipment, video editing, synchronized videotaped deposition clips, and trial presentation software. We also design digital timelines, tiral graphics, and opening and closing presentations, to help you prove your case to the trier of fact. 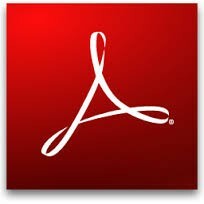 In honor of National Court Reporting & Captioning week, Thomas & Thomas Court Reporters is acknowledging one of its favorite court reporting gadgets/tools - Adobe Acrobat. From converting emails to PDFs, to bate stamping documents, to editing forms and pages, Adobe Acrobat makes office life so much easier. We use it for emails, transcripts, forms, exhibits, and trial presentation services on a daily basis.